I was recently contacted by a single mom asking for therapy for her 8-year-old son. She describes him having problems with anxiety and concentration, especially in the day or two after weekend visits with his dad. They have had joint custody since their divorce two years ago, but mom says dad is skeptical of therapy so she wants to bring her son in for an initial appointment without talking to dad. I usually like to meet with both parents at the beginning of child therapy, so I’m reluctant to make an exception in this case. What should I consider in responding to mom’s request? Working with families involved with separation and divorce is complex, and you are wise to be thoughtful about how you approach the beginning of therapy in this case. Chapter 7 of my book includes more detail about this topic, as well as other specialized areas of assessment. I’ll review the legal and clinical implications of working with one or both parents in child therapy and discuss some of the factors that influence parents to request therapy for their children following divorce. First, it’s important to consider the legal issues regarding parental consent for a child’s therapy. If the parents share joint custody, the consent of only one is required; however, if the other parent objects at any point you will be required to end treatment. It would be detrimental to the child to end therapy abruptly after a few weeks or months, and that is a risk inherent in beginning therapy without the consent of both parents. At minimum, I would recommend asking the mother to provide a copy of the custody decree so you have confirmation of her report. Although you might be legally permitted to begin therapy with only one parent’s consent, there are many clinical reasons to engage both parents in the therapy. Your practice of meeting with both parents indicates you are aware of the importance of hearing both parents’ perspective on the child, the importance to the child of knowing that you maintain a relationship with both parents as he does, and the benefit to the child of providing consultation to both parents about their influence on him. Part of the initial phase of any therapeutic relationship is establishing the frame, and making an exception to your usual practice would undermine the clarity of the frame and your role as a professional. It is often helpful to reflect on some of the factors that may influence this mother to seek therapy for her son. In addition to concern about his emotional wellbeing, she probably has other motivations, both conscious and unconscious. She may wish to attribute any difficulty in her son’s emotions and behavior to his father in order to reduce her feelings of guilt and shame; she may be looking for an advocate in a legal proceeding regarding financial support or custody; or she may feel threatened by her son’s relationship with his father. It is wise to assume that this mother’s request is more complex than it may initially appear and to remember that your role is to serve the child’s needs which overlap with but are not identical to those of his mother. You may find it helpful to develop a standard way of describing your reasons for involving both parents in therapy, especially after divorce. An example that would fit this case is “I understand your son’s dad has some reservations about therapy, but I have found it essential to talk with both parents in order to make sure I have the full picture. I won’t be effective in helping your son if I’m not in touch with both of you. How could we work that out?”. It is possible that the mother will decide to look for another clinician, and you may feel pulled by your concern for the son. However, maintaining a clear therapeutic frame is especially important in cases involving divorce. Most clinicians find it challenging to work with families of divorce, so consultation with an experienced clinician will be helpful. You may also find ongoing peer consultation to be a resource for navigating the emotionally charged issues that are part of this work. If you’re interested in reading more about this and related issues, click here to order from Amazon or here to order from Routledge. This entry was posted in Diagnosis and Assessment and tagged Divorce, Practicum Training, Psychotherapy, Separation, Therapy, Training, Training Therapist on August 26, 2017 by Diane. I have had two therapy sessions with a 24-year-old woman who was hospitalized six months ago for suicidal ideation. She has been stable since then and wants to use therapy to understand what led to her suicidal thoughts. She has given me permission to talk with her psychiatrist and her parents with whom she lives, and she suggested I contact the hospital to get their report of her stay. I usually like to keep the therapy between me and the client, but in this case I think information from these other sources might help. I agree that it might be necessary to expand beyond your client’s self report of history and symptoms in order to insure your client’s safety while she explores her past suicidal ideation. This question addresses the decisions inherent in conducting an initial assessment, which is discussed in Chapter 6 of my book. I’ll review whether and how to include information from other mental health providers, family members, and treatment records, after discussing the sources of information that come from your client sessions. Therapy usually begins with a conversation between you and the client in which she tells you what difficulties are leading her to seek help. The initial phase of establishing a therapeutic alliance overlaps with doing an assessment of the client, so you develop a comprehensive picture of her life and circumstances that will guide your treatment approach. 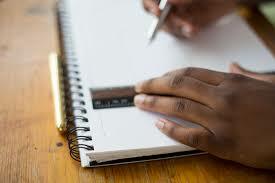 Your therapy sessions provide two sources of information about the client: her self-report and your observations. In the first two sessions, she has probably told you about her current concerns and symptoms, living circumstances, and relevant events from the past including her hospitalization. Whether you have been consciously aware of it or not, you are also observing her and noticing the nonverbal aspects of her presentation that are congruent or incongruent with her verbal presentation. Another aspect of the therapy sessions is the impact of the sessions on your own emotional state. Client self-report and therapist observations are usually the primary source of assessment information, and sometimes are the only source. 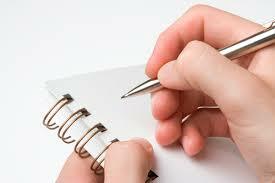 In this case, I would suggest expanding the client’s self-report by using one or more assessment measures. The Crpss-Cutting Symptoms Measure, contained in the Assessment section of the DSM- 5, is free and can be downloaded at https://www.psychiatry.org/psychiatrists/practice/dsm/educational-resources/assessment-measures. Your agency may have other measures that are relevant to her presenting issues or you can find assessment tools at http://www.integration.samhsa.gov/clinical-practice/screening-tools. It may be useful to compare the client’s narrative report in session with her self report on an objective assessment measure. Your treatment approach will be different if her scores on objective measures indicate greater risk than she has reported to you in the first two sessions. In terms of the other sources you mention, consulting with her psychiatrist seems essential so that you can develop a collaborative relationship as treatment providers. As your client explores the sources of her suicidal ideation, her symptoms may temporarily increase and her medication needs may change. The psychiatrist can also share the client’s treatment history and response, which you can compare with your client’s report. Talking with your client’s parents is more complicated and needs further evaluation. I recommend postponing that conversation until you know more about your client’s current relationship with her parents, past events in the family, and general family dynamics. Over time you will begin to make inferences about these issues as you hear more about her perspective on their interactions. I would begin this exploration by asking what she expects her parents would tell you and how she would feel about you hearing that from them. Last, your client has suggested that you read the hospital record. This may contain useful historical and clinical information, so I would recommend requesting it. Be aware that it may be more difficult to obtain a hospital record than to talk with the psychiatrist, depending on the procedures in place there. The discharge summary is the most useful clinical document, so you can ask for that rather than for the full record which will include notes from each nursing shift during her stay that are less relevant to her current status. Combining these sources of information will result in a comprehensive assessment, which is especially important in cases with elevated risk. Supplementing the therapy sessions with self-report measures, information from another provider, treatment records, and possibly family members will enable you to be clearer in your treatment approach. Your overall goal will be to respond to the client’s desire to understand her past suicidal ideation while helping her maintain physical and emotional safety. If you’re interested in reading more about this and related issues, click here to order from Amazon or here to order from Routledge. This entry was posted in Diagnosis and Assessment and tagged Assessment, diagnosis, Practicum Training, Psychologist in Training, Psychotherapy, Therapy, Training on August 13, 2017 by Diane. I work at an agency that requires us to give a diagnosis to each of our clients. I’ve gotten comfortable with this requirement and the diagnoses I give to my clients, but I’m concerned that someone will ask me about their diagnosis. I think the clients will feel upset about knowing that I have diagnosed them, so I dread the possibility of someone asking me about it. One section of Chapter 5 of my book specifically reviews how to discuss diagnosis with your client, and the case example at the end of that chapter includes an illustration of a therapeutic conversation about diagnosis. I’ll summarize some of the important points here. Your concern is common among clinicians, who associate diagnosis with the medical model and a lack of subjective understanding and empathy for the client. Agencies whose clients rely on third party funding generally require that all clients receive a diagnosis because of funder requirements. Your clients might not be able to get the treatment they need without third party payment and your documentation of a diagnosis that meets medical necessity guidelines, but it does raise a clinical dilemma. A place to start with this dilemma is to review your diagnoses and confirm that they are accurate based on the clients’ report of symptoms and your observation of them in session. It sounds like you’ve done this with your clients, but your level of concern may decrease if you go through this review systematically. If any of your diagnoses don’t fit the client’s report or if symptoms have changed during the course of treatment, you can modify the original diagnosis to fit the current symptom picture. In anticipating a conversation with your client, there are several things to keep in mind. One issue is to think about the meaning of diagnosis at this particular time in treatment. A client who raises a question about diagnosis in the second session probably has different reasons for wanting to discuss it than a client who raises the question after six months. When a client asks about diagnosis, you can explore the meaning by saying something like “I’m happy to talk with you about this, but I’m also curious about what goes into your question.” Starting with reassurance that you will answer the question makes it more likely that the client will be open in sharing her/his motivation. You can then discuss the diagnosis in a way that addresses the client’s concern. For example, if the client expresses worry that she/he is “crazy” you will answer differently than if the client wonders what the number means on the statement she/he received from the insurance provider. A second issue to consider is the emotional response your client is likely to have to the specific diagnosis you have assigned. Approach this conversation in the same way you approach any topic in the therapy. It is best to say a few sentences initially, then ask the client for her/his reaction and be alert for nonverbal cues that provide additional information. If the client’s diagnosis is something that may be negatively charged for your client, consider prefacing disclosure of the diagnosis by a statement like “You may have some preconceptions about what this particular diagnosis means, so if it’s all right, I’d like to tell you why I have used this diagnosis for you.” Then summarize the aspects of the client’s report of symptoms and your observations that support the diagnosis. You can then ask the client if your summary seems accurate. After you and the client have agreed on the symptoms and issues, you can then say “In the field of psychotherapy, that combination of difficulties is described with the diagnosis of (the name of the disorder)” and pause for the client’s response. If the client is concerned about whether this diagnosis means she/he will be unable to improve or to achieve life goals, you can discuss the treatment approaches that you are using and express realistic optimism that the client’s symptoms can be managed effectively. Probably the most important way to insure a productive and therapeutic conversation about diagnosis is to continue to reflect on your views of diagnosis and the stigma you may hold about diagnosis in general or about specific disorders. If you develop the skill to speak openly about diagnosis, your clients’ shame, self-judgment and suspicion will be minimized. My personal definition of diagnosis is that it is a standard, professional way of summarizing a broad range of information about the client’s present and past symptoms and experiences. For me, a diagnosis doesn’t reflect a feeling or judgment about the client and it doesn’t imply a prediction about the client’s overall capacity to lead a fulfilling life. Holding the meaning of diagnosis in this way enables me to respond to my clients’ questions with confidence that the conversation will not have a negative impact on our therapeutic relationship. I hope these suggestions are helpful in having conversations about diagnosis with your therapy clients. If you’re interested in reading more about this and related issues, click here to order from Amazon or here to order from Routledge. This entry was posted in Diagnosis and Assessment and tagged diagnosis, Practicum Training, Psychotherapy, Therapy on July 30, 2017 by Diane. My agency requires assigning a diagnosis after the first session, and this is very hard to do. How can I give a diagnosis to my client when I don’t have complete information about them ? This agency requirement is probably related to third party billing and the need to document the medical necessity of the services you are providing to the client. While this requirement ensures that your clients have access to the services they need, it can be frustrating as a clinician to assign a diagnosis when you haven’t had a chance to develop a comprehensive understanding of their symptoms. I will suggest a couple of strategies regarding the notation of the diagnosis itself that may alleviate your concern and then outline a three-step process for arriving at a diagnosis after the first session or after a more thorough assessment. My comments are based on using the DSM-5, and may need to be adapted if your agency is using the DSM-IV. One strategy is to check with your supervisor or the billing manager about the use of diagnoses marked “Provisional” when you have incomplete information. If this is allowed by the third party, it is a way to acknowledge that your diagnosis is tentative. Situations in which a “provisional” diagnosis are appropriate are when you know a client meets most of the criteria but haven’t confirmed the full set of criteria required for the diagnosis or when the client reports a diagnosis given by another health care provider that you haven’t verified independently. Also ask about the use of “Other Specified” and “Unspecified” diagnoses when you have determined which category the client’s symptoms fit but don’t know whether they meet the criteria for a specific diagnosis within that category. These diagnoses are often useful when your information is incomplete, if they are acceptable to the third party. A second aspect of diagnosis that may alleviate some of your concern is to view diagnosis as an ongoing process rather than a decision that is made once for the duration of the client’s treatment. The diagnosis you assign after the first session may not be the diagnosis that accurately reflects the client’s history and symptoms that emerge as you complete an assessment. This will be most likely if you have used “provisional,” “other specified,” or “unspecified” in your diagnosis, but there are other times when the client’s initial presentation differs from the impression you get after four to six more sessions. I also suggest reviewing the diagnosis every six months or whenever you update the treatment plan. This allows you to update the diagnosis if appropriate, to reflect changes in the client’s symptoms or new historical information you have learned. I have developed a three-step process to help new clinicians develop a diagnosis, and the worksheet reflecting this process is available for download in an online workbook. I find that new clinicians often have difficulty prioritizing the different pieces of information they have about clients, and this leads to confusion in identifying the most accurate diagnosis. A more detailed description of the diagnostic process is contained in Chapter 5 of my book, available through Amazon or Routledge. My recommendation is to begin by listing the client’s current symptoms and past symptoms reported as part of the history. This ensures that you consider all of the data that is relevant to the client’s diagnosis rather than prematurely focusing on one aspect of the presentation that may lead to an inaccurate diagnosis or may neglect a secondary diagnosis that is clinically important. 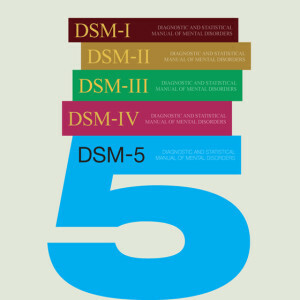 Second, make note of the categories in the DSM-5 that fit your client’s symptoms, being as comprehensive as possible. In the worksheet, I suggest that you note the categories in which symptoms are present (or are part of the history) and then note whether these symptoms are relevant to the current treatment, i.e., part of the reason for the client seeking treatment. This notation will serve as a reminder to address the relevant symptoms in your treatment goals. Remember to include the “Other Conditions” category if your client has psychosocial stressors, relationship difficulties, or a history of trauma. The third step is to look at the specific diagnoses within the categories you have noted to see whether your client’s symptoms meet the criteria for one or more diagnoses. If you noted the “Other Conditions” category, review these codes to determine which situational factors are important to include in your diagnosis. Often, your client’s clinical presentation may be best described by one or more diagnoses and one or more Z codes. If this is the case, choose the diagnosis that best represents the reason for treatment as the primary diagnosis which will be reported for billing purposes. The other diagnoses will be included in your assessment to provide a comprehensive view of the client’s symptoms, history, and current psychosocial stressors. I hope you find these comments helpful in working with DSM-5 and diagnosis. Please email me with comments, questions, or suggestions for future blog topics. This entry was posted in Diagnosis and Assessment and tagged diagnosis, Practicum Training, Psychotherapy, Therapy on February 12, 2017 by Diane. You are describing a situation that is common in clinical work. The information that clients give us at the beginning of treatment reflects what is uppermost in their minds as well as what they feel safe to disclose. Often they remember and reveal more after they feel understood and become less worried about being judged or criticized. When you work with children or adolescents, you may also get additional information from parents or teachers that affects your diagnosis and treatment plan. Your documentation of these changes in your clinical work can take two forms: progress notes and separate assessment and treatment planning documents. Ideally, the changes would be reflected in both of these documents. If your agency receives a request for the client’s record, they may only send the assessment documents and not include progress notes. However, your progress notes should describe the treatment progress, and this requires including the information you describe above. Regarding the progress notes, they should incorporate your client’s report of symptoms and traumatic incidents and your revision of the diagnosis. If you only included the client’s report in your previous notes, you can add a paragraph to your next note identifying the new diagnosis and your assessment that led to this revision. Similarly, you should describe your conversation with the client about new treatment goals and your plan for working on them. It is best for this to be included in the note for the session in which you had that conversation, but if you have already written that note you can create a supplemental note or include the information in a note for a later session, identifying the date of the original conversation. If your agency has one or more documents for assessment and treatment planning, you may have a form for revisions or updates that you are required to complete every three, six or twelve months. If you don’t have a version of those forms to use for revisions, check with your agency supervisor. You may be able to write an addendum to the original form or simply complete a new assessment and treatment plan with a new date. I hope you found this helpful in updating client documentation. Please email me with comments, questions or suggestions for future blog topics. This entry was posted in Clinical Documentation, Diagnosis and Assessment, Therapeutic Relationship and tagged client documentation, Practicum Training, Psychotherapy on September 13, 2015 by Diane. This entry was posted in Diagnosis and Assessment and tagged diagnosis, DSM-5, DSM-IV, Practicum Training, Psychotherapy, Psychotherapy Training on January 19, 2015 by Diane.